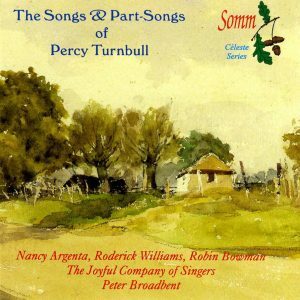 This is the second disc of songs with Sally Silver and Richard Bonynge appearing on SOMM and following the release, in 2013, of Songs by William Wallace (SOMMCD 0131). “What an adventurous move it is for a record company to provide listeners with the opportunity to hear songs that have not been committed to disc time and time again.” — IRR, Nov. 2013. 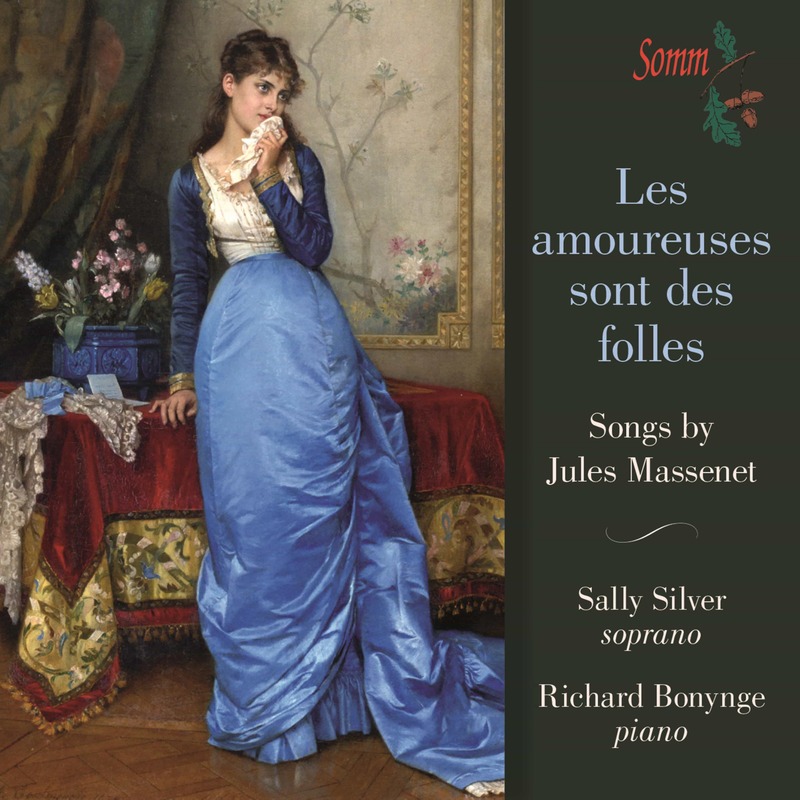 In addition, a first disc of Songs by Massenet recorded by Sally Silver and Richard Bonynge was successfully released on Guild in 2012 (“Silver has a silvery voice, as well as excellent diction. She makes each piece into a little gem and her interpretations are full of colour and clarity…. Richard Bonynge’s playing is superb.” American Record Guide, July 2014). As an added bonus on this new recording, the two artists receive excellent support from Tenor Nico Darmanin, Mezzo-Soprano Christine Tocci and Cellist Gabriella Swallow, who feature in ten of the twenty-four songs recorded here. 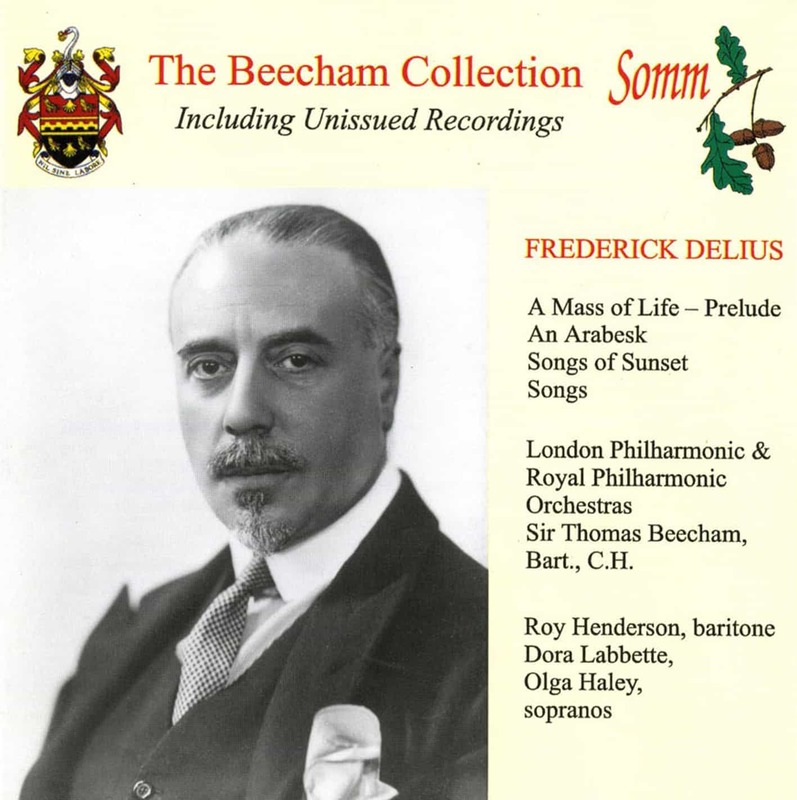 It was Sir Thomas Beecham who once said ‘I would willingly give the whole of the Brandenburg Concertos for Massenet’s Manon and consider I had profited greatly from the exchange’. Sir Thomas was well known for championing composers who had been unjustly neglected and eighty or so years ago, when he made his comment to the critic Sir Neville Cardus, Massenet’s reputation was at a low ebb. His greatest successes lay in his series of operas, which matched perfectly the cultural needs of la belle époque between 1870 and 1914. This was the era which saw the appearance of almost all of Massenet’s greatly significant operas, which are acknowledged today to be amongst his finest works. Manon, Werther and Thaïs may be arguably the finest examples of Massenet’s operatic mastery on a large scale, yet what each of these works reveals above all is Massenet’s love, and genius in writing for the human voice — and, perhaps more especially, for the female voice. His compositional style suited the character of the time, a style which has been said to combine a genuine melodic sensuousness not unlike that of Gounod, with the richness of orchestration of Wagner. Whatever his compositional style, there is no doubt that Massenet found the human voice to be the most inspiring outlet for his lyrical invention. 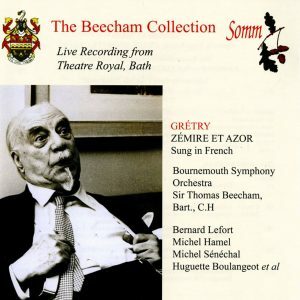 The collection of songs on this CD ranges across the whole of Massenet’s career as a composer, from the earliest (circa 1866) Adieu — the last of the cycle Poèmes d’avril — to the final song in SOMM’s collection, Menteuse chérie, one of Massenet’s last works, written shortly before his death. This selection also includes duets and other settings for solo voice groupings, of which Massenet composed many, and of which the late duet La chanson du ruisseau is a delightful example, the nature of the flowing stream being perfectly caught in the rippling music. Another beguiling example of Massenet’s sheer mastery of invention is the duet Oiseau des bois (1900) for soprano and contralto whilst O ruisseau for vocal trio and piano brings home to us the remarkable range and originality of Massenet’s output. Sally Silver‘s repertoire spans Handel to Thomas Adès and newly commissioned works, but she is perhaps best known for bel canto and French roles. She is currently making her début as Eleonora in Donizetti’s Il Furioso all’isola di San Domingo with English Touring Opera. She recently appeared in Moscow with the Philharmonia Orchestra under Esa-Pekka Salonen in the Russian première of Shostakovich’s opera Orango, and made appearances in concert with the Netherlands Philharmonic Orchestra and at Opera pa Skaret in Sweden. Some other concert highlights include the world première of Songs of Five Rivers by Naresh Sohal with the BBC Symphony Orchestra, Mendelssohn’s Lobgesang with the London Symphony Orchestra; Beethoven’s Ninth Symphony with l’Orchestre de Pau Pays de Béarn and Ulster Orchestra; a concert of operatic mad scenes with Staatskapelle Weimar at Weimar Pelerinages Kunstfest and a Bel Canto Gala with US tenor Lawrence Brownlee in Cape Town. Sally Silver’s collaboration with the conductor and pianist Richard Bonynge has produced recordings by Massenet, Balfe and Wallace, Wallace’s Opera Lurline and two cantatas by Sullivan — On Shore and Sea and Kenilworth. Sally has been based in London since 1998 and was born in South Africa, where she sang numerous roles for all the major opera companies and was a recipient of the Opera South Africa prize. Richard Bonynge, AC, CBE., was born in Sydney and studied piano at the New South Wales Conservatorium of Music and later with Herbert Fryer, a pupil of Busoni, in London. He made his conducting début in Rome in 1962 with the Santa Cecilia Orchestra and has since conducted at most of the world’s opera houses. He was Artistic Director of Vancouver Opera and Musical Director of Australian Opera. He was awarded the CBE in 1977, Officer of the Order of Australia in 1983, Companion of the Order of Australia in 2012, Commandeur de l’Ordre National des Arts et des Lettres, Paris in 1989 and made “Socio d’onore” of the R. Accademia Filarmonica di Bologna in 2007. He married the late soprano Joan Sutherland in 1954 and has one son. Richard Bonynge has recorded over fifty complete operas as well as DVDs of many operas and recorded numerous ballets. As a conductor he is widely regarded as being extraordinarily sympathetic to singers on the stage and his instinct, knowledge and feel for voices have become legendary. Nico Darmanin was born in Malta and studied in London at the Royal College of Music and the National Opera Studio. As a Samling Artist he has participated in master classes with Juan Diego Florez and Joyce DiDonato. He has also worked with Dame Kiri Te Kanawa and Sir Thomas Allen at the Georg Solti Accademia, and with Mirella Freni in Modena. His roles include Daniéli (Les vepres siciliennes, Royal Opera House, Covent Garden), the Italian Tenor (Der Rosenkavalier, Vlaamse Opera and Grand Theatre de Luxembourg), Almaviva (Il barbiere di Siviglia, Opera Holand Park, Ramiro (La Cenerentola, Scottish Opera) etc. Nico Darmanin has an extensive repertoire of songs and operas ranging from Rossini to Debussy. He has also recorded Sullivan’s On Shore and Sea under the baton of Maestro Richard Bonynge. Christine Tocci‘s opera engagements have included Zweite Dame in Die Zauberflöte for the Theatre du Chatelet and Opera de Montpellier, Smeraldine in The Love of Three Oranges for the Vlaamse Opera, Nicklausse in Les Contes d’Hoffmann for the Opera de Rennes and Sister Martha in Cyrano de Bergerac beside Roberto Alagna for the Opera de Montpellier and for the Opera de Monte Carlo, etc. She has worked under the baton of Lawrence Foster, Marco Guidarini, Michail Jurowski, Herve Niquet, Enrique Mazzola, Pinchas Steinberg, Jerome Correas, Mark Shanahan and Carlo Rizzi. Gabriella Swallow studied the cello at the Royal College of Music with Jerome Pernoo where she was awarded the Tagore Gold Medal. She is also winner of the Concerto competition, performing Hugh Wood’s Cello Concerto which firmly launched her on the contemporary music scene. In 2007 Gabriella made her South Bank début as soloist with the London Sinfonietta in the première of About Water by Mark-Anthony Turnage and has also performed the Paul Max Edlin Cello Concerto with the South Bank Sinfonia at the Deal Festival. She features on the first disc of Massenet Songs with Sally Silver and Richard Bonynge. In 2013 she made her Wigmore Hall début with Ruby Hughes. Poeme d’avril: Poeme d’avril, Op. 14: No. 8. Adieu!